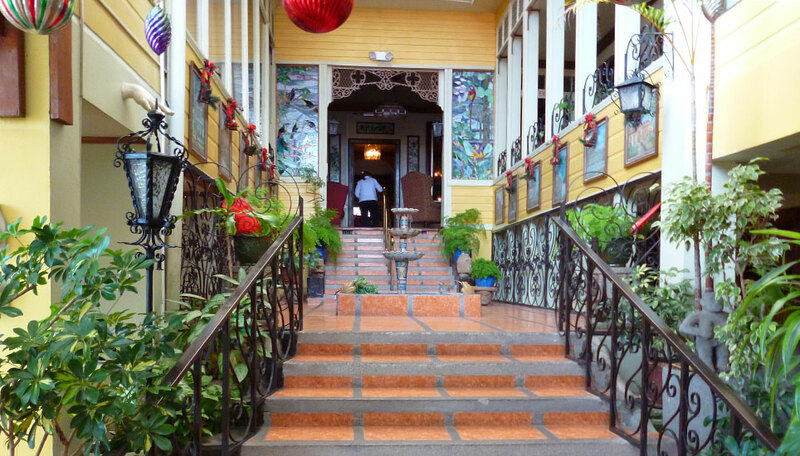 Experience the warmth and charm of a San José historic boutique hotel. 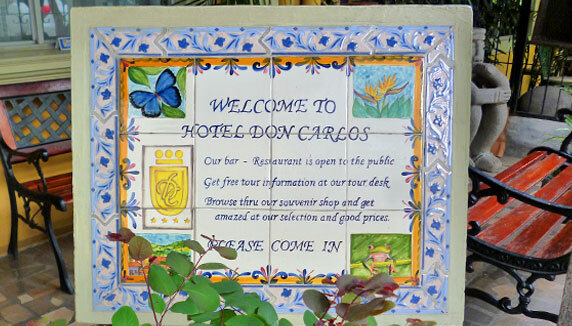 Hotel Don Carlos is open all year round. Hotel Don Carlos boasts a significant history. The building was once home to two Presidential families. Run by the same family for three generations, the hotel is located in a historical part of the city and oozes that yester-year charm and warmth that you would expect. 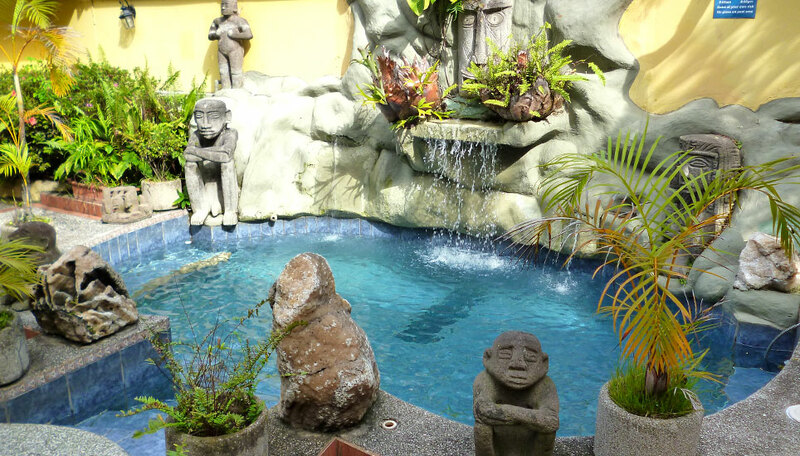 The corridors are all adorned with Costa Rican works of art that you can enjoy as you stroll through the hotel and out to the quaint gardens, adorned with fountains and exotic plants. Each room at the hotel is different, but all have received the same attention to detail and also feature local artworks. Enjoy breakfast in the hotel restaurant, or relax in the bar with a cocktail or two and soak up the atmosphere. Why go to Hotel Don Carlos? Steeped in history, this is the perfect place to base yourself while you explore San José and the surrounds. 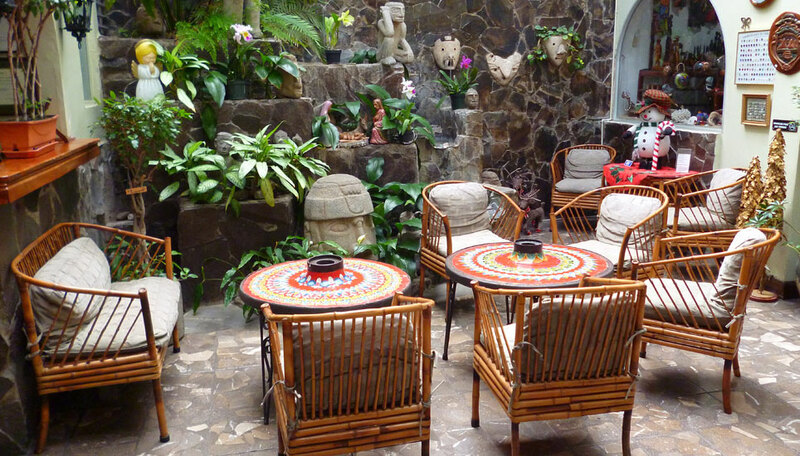 It has a unique Costa Rican feel and the friendly staff will make you feel at home the moment you step through the door. Nothing is too much trouble. The gardens are a wonderful place to relax and admire the orchids and the many statues that are dotted around. 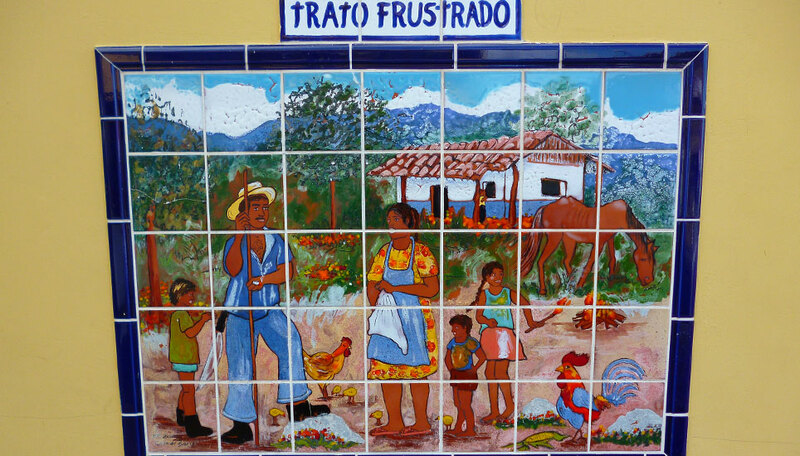 Even though you are close to downtown San José, it also feels a million miles away. Whilst there isn’t any wildlife as such at the hotel, but the birdlife is ever present in the gardens and nearby parks of San José. It is also possible to do day trips to nearby some of the national parks in the vicinity and discover their varied wildlife. Manuel Antonio is a popular destination, a mere 2.5 hours drive away. Here you can see plenty of monkeys, a huge variety of vibrant birds and even tapirs if you are lucky. Each room has a TV, telephone, fan, safety deposit box, hair dryer. A continental breakfast is included. There is free parking at the hotel and complimentary WiFi. Hotel Don Carlos has just 30 rooms. Standard Rooms: These rooms are simply furnished and decorated, with one or two beds, cable TV, telephone, private bathroom with hot water, safety deposit box and hair dryer. Superior Suites: The suites are more luxurious and spacious than the standard rooms. They have either a king size bed or two double beds, desk, seating area, cable TV, telephone, private bathroom with hot water, safety deposit box and hair dryer. There is no charge for children under 12, accompanying their parents. There is free WiFi in all rooms and throughout the hotel.